It will surprise you to discover that for the past two years, there has not been meeting of Yoruba traditional rulers just because of enmities. There is nothing strange in adopting Emir title. 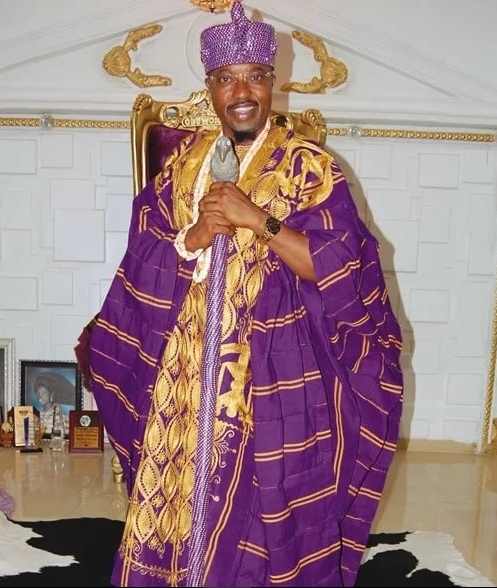 I am the Emir of Yorubaland,” Oluwo said. Meanwhile, amid tight security presence, Oba Akanbi installed and turbarned an Islamic scholar, Sheikh Yahquub Abdul-Baaqi Mohammed as first Waziri of Yoruba land. At the well attended ceremony held at the palace of of the traditional ruler in Iwo on Saturday, Islamic scho)lars, Islamic organisations, Imams and Alfas, government functionaries among other notable personalities in the state were present. The occasion of the installation of Waziri Yorubaland is another great opportunity to create the necessary awareness and promote to the entire world the deep Islamic culture and heritage in Iwo. “Waziri did not come from Northern part of Hausa tribe but from God. So, there is nothing strange in installing Waziri. Yoruba has forgotten their history. Whoever is critisising me lacks history of Yorubaland,” the monarch noted. The new Waziri promised to render selfless services that would promote religious growth and peaceful coexistence in Yorubaland.